In case you missed it, Sheila recently shared the story behind Kett Cosmetics and offered a rare glimpse into her private life for #BEYOUROWN, a UK blog that celebrates female entrepreneurs. Enjoy the read! 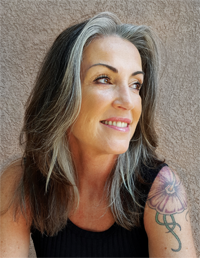 This week #BEYOUROWN meet Sheila McKenna, President and Founder of Kett Cosmetics, is an industry veteran with over 30 years experience in makeup artistry. Her work has been seen in film, television, print, theatre and runway. She is widely recognized as an expert in the field of airbrush makeup artistry and has served as the subject matter authority for several publications. BYO: Can you tell us a bit about Kett Cosmetics and yourself? SM: I am a native New Yorker, art school drop out, wife and mother of two, from a creative family of 7. My dad was an award-winning photographer and as a small child I would spend hours with him shooting and developing film. That early exposure to the nuances of contrast and tone has served me well as a makeup artist. I studied Art History and Jewelry design at the Fashion Institute of Technology but it was my love for makeup artistry that ultimately steered the ship. In the year 2000 there was a tidal wave of technological advances in digital and Hi-Definition formats. As a freelance artist, I experienced this leap firsthand on set. Where the lens once acted as a forgiving filter, it now highlighted and magnified skin imperfections. There was an urgent need for imperceptible makeup. I created Kett to answer the call for professional-quality cosmetics that were able to withstand the unforgiving lens of the hi-def camera. I also viewed that moment as an opportunity to create a global representation of skin tones – something I felt was not being offered or even considered at the time. Another goal was to keep the formulas clean and free of parabens, fragrance and oil as well as vegan and cruelty free. BYO: How does your day start and how does it finish? SM: Typically my day starts with a gratitude prayer and meditation focusing on the beauty and calm of the morning sun followed by a jolt into high gear with two cups of Cafe Bustello. I feed the dog, check in with mom then get going. If my schedule permits, my day ends with an hour at the gym typically followed by more work. I try to wind down with something relaxing like journaling or drawing while watching The Last Alaskans on TV. BYO: What has been the highlight of your career with Kett Cosmetics so far? SM: There have been many “big” moments during my time with Kett but three stand out. One is a daily highlight- I am my own boss and that provides a certain freedom and independence that outweighs the stress of being the owner. The international travel that comes with the job is another thrill. My work has brought me to parts of the world that I never imagined visiting. I’m really a homebody at heart so traveling all over Europe, as well as Australia, India and Vietnam are definite highlights. Last but not least, I get a big rush when I see images of Kett products on Instagram in the kits of renowned makeup artists. I’m a bit of a rocker so it’s particularly thrilling to know that the products I created are on the faces of Joan Jett and Lady Gaga, among others. BYO: What is on the horizon for 2017? SM: In 2017 we will continue to increase our presence and availability. Already this year we have added 6 new locations- four in the US in addition to Paris and South America. We also plan to launch a few new products. The early work in the lab developing formulas is my absolute favorite stage. Playing with pigments and textures is creatively satisfying and incredibly fun. 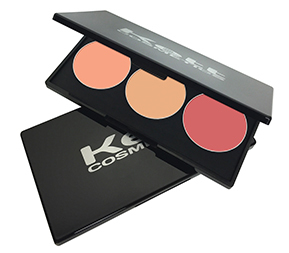 Kett will be introducing a new formulation along with an expansion of skin tone products. So keep your eyes peeled for the announcements. BYO: What has been the hardest challenge you have had to overcome? SM: There have been many challenges along the way, but two seem to be very persistent! The first is learning how to turn off the Kett Cosmetics voice in my head at night. There is nothing like a good night’s sleep. It can truly do wonders for the mind and body. The second is managing my time. There are many hats to wear as a company owner. Choosing which hat to wear at any given moment is the challenge. Product development, makeup artistry and education are my top 3 loves. Unfortunately, the distractions of website issues and looming promotional deadlines demand my attention and input. BYO: Where would you like to see Kett Cosmetics in the next 5 years? SM: I would love to see Kett Cosmetics on the vanities and in the bags of the general consumer. 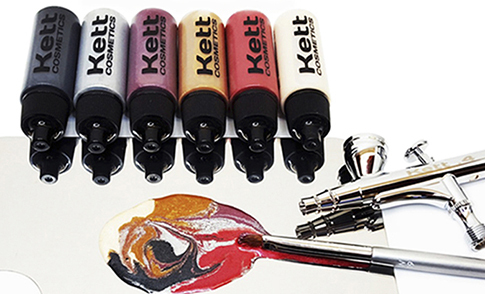 Kett has been a niche brand for professional makeup artists since it’s inception. I would like to see our reach continue to expand. We have an inclusive color range and formulations for everyone. All the women in my life wear Kett. They are various ages and ethnicities, working women, stay at home moms and an octogenarian. I would like to see Kett become the “go-to” brand for every age and skin tone. BYO: You expanded to having Kett Cosmetics distributed in over 20 countries worldwide, which market are you looking to tap into next? SM: I would love to see Kett grow in the Middle East. We currently have a small but loyal presence there and I would really like to see a distributorship evolve. There is definite interest in and enthusiasm for bringing Kett to the market. BYO: As an industry veteran with over 30 years experience in makeup artistry how did you know this is exactly what path you wanted to follow and how did you begin the process? SM: Honestly, I never dreamed of starting my own company or establishing a brand. Necessity, the “mother of invention” drove me to it. During the mid 90’s I was enjoying a career as a professional makeup artist, freelancing for broadcasts, film, music videos, runway- you name it. I was very fortunate to have steady bookings. It was while working on an HD project in the late 90’s that the creative juices started to flow. The technology was new and presented a unique challenge. At that time, the makeup products in my kit were traditional, and as it turned out, inadequate for HD. It was a problem that needed a solution. Being an artist with very little creative fear, I decided to figure out what would work best under the light and lens. I experimented at home with a chemistry set from a toy store. The formula and colors began to take shape. The next challenge was to find a lab that would make my custom formula in bulk. The kitchen sink was not large enough. The rest is history, or rather her-story! BYO: How difficult is it, do you think to establish yourself within the Make-up brand industry? SM: Branding today is very different from when Kett was born in 2003. All of the initial research was done on a dial up internet system. There was no advertising or marketing campaign, social media blitz or paid influencers. YouTube did not exist. The effort was entirely grass roots. The products were field tested by fellow makeup artists and the brand grew organically by word of mouth. The proof was in the product. Today, there are entire departments at corporations devoted to the strategy of advancing a brand agenda. There’s a huge emphasis on the visuals and presentation, not necessarily the merits of the product. There’s also this notion of “newness” – the idea that brands need to keep re-inventing, extending and launching at an astonishing pace. I personally create each formula and color so a lot of blood, sweat and sometimes tears go into each product. I believe the reputation and integrity of the Kett brand is responsible for our continued growth. BYO: Having had a huge amount of press coverage ranging from Vogue, Wonderland and Glamour. How important do you think celebrity endorsements and industry influencers are in terms out getting brand press and coverage? SM: These days one celebrity endorsement can put our order processing team on serious overtime. It’s amazing what three words can do for a brand. During an interview with Elle magazine, Mariacarla Boscono’s response to a question about everyday makeup was “I use Kett”. It was exciting to see the sales increase, particularly for our Kett Sett powder, as a result of her honesty. The same goes for respected industry influencers. For instance, one morning we received a mind-boggling amount of orders for our Hydro Foundation, only to learn that the night before, Wayne Goss had reviewed Hydro and declared it the “Holy Grail” of liquid foundations. He has since shared his unbridled love for our Fixx Crème formula. This is where the grass roots and brand integrity truly comes to light. That level of sustained support helps keep the Kett Cosmetics brand alive and well. BYO: What are your 5 steps to building a Make-up brand? SM: I actually started with 10 steps, a black and white notebook and gold sticky stars. I wrote my first 10 steps in 2000 and put a gold star next to each one accomplished. The steps have been evolving ever since and I’ve dropped the gold stars. I took a look back at my first notebook and really enjoyed the walk down memory lane. Find a Lab: I had created the formula at home and needed to find a lab that shared the same vision. This was particularly difficult, time consuming and at times, discouraging. My advice is to stay the course. Every NO brings you that much closer to your YES. Design Logo: You can’t have a brand if you don’t have a logo. The creative part of me enjoyed this very much. I pulled in my son “Kett” to help. He painted the original design which I enhanced. The logo has since changed but the original is still trademarked and used for our special effects line. Create Confidentiality Agreement: Another important layer of owning what you create when it must be shared with others is having them sign a Confidentiality Agreement. I have these agreements with everyone who has access to Kett’s proprietary information. Incorporate Company: You never know what business opportunity will present itself or at what stage of development it will appear. Being incorporated prepares you for tax time and puts the company in a position to start doing business immediately. Register Trademarks: Own what you create, put your name on it and make sure it stays there. Once you have all these ducks in a row, you can be free to create at will. It’s all officially yours and now it’s time to fly. BYO: Finally, what is your number one rule when it comes to entrepreneurship? SM: I broke all the cardinal rules so I am no authority on the subject. I partnered with family and hired my friends, probably the first “not to do” in any business playbook. Luckily for me it has worked. My advice is to be sure that you have a passion and love for what you’re doing. More often than not, it will demand your undivided attention.